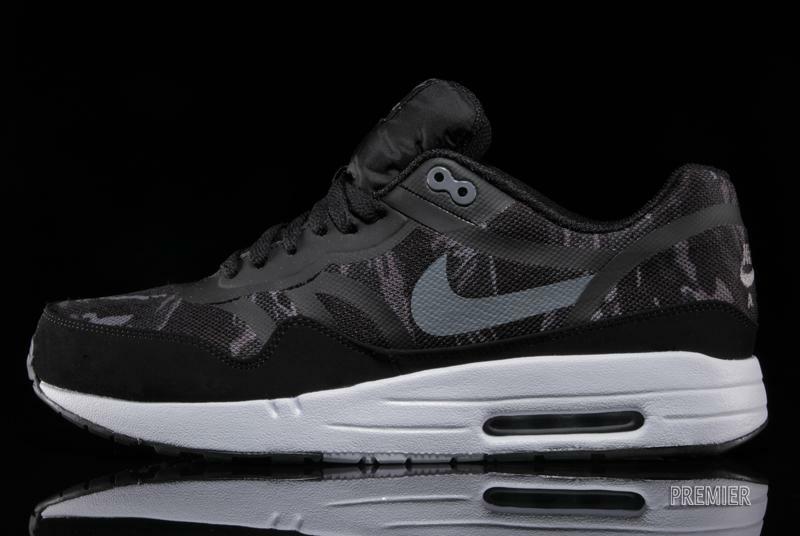 The Nike Air Max 1 arrives this week in a new camouflage colorway, continuing this summer's Air Max Tape releases. 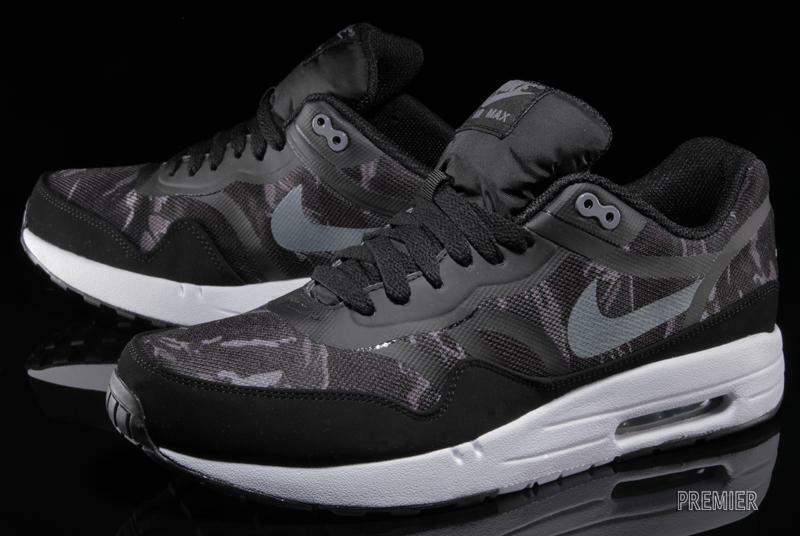 The Nike Air Max 1 arrives this week in a new camouflage colorway, continuing this summer's Air Max Tape releases. 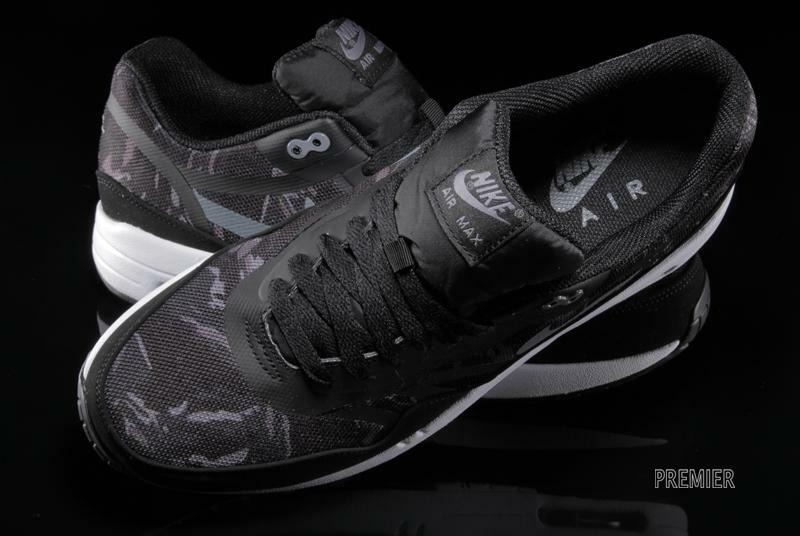 The shoe features a monotone tiger camo upper, supported by taped seams and a black suede mudguard. 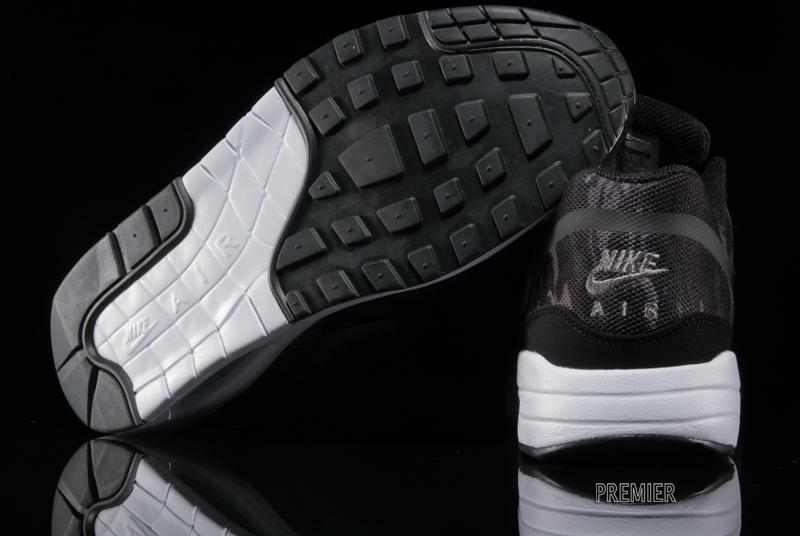 A classic white midsole sits below. 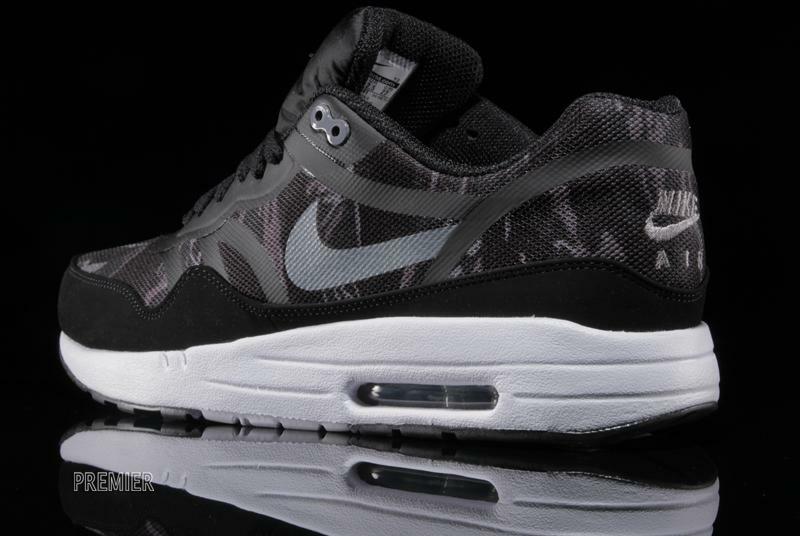 The Nike Air Max 1 PRM Tape "Camo" in Black / Cool Grey / White is available now at Nike Sportswear accounts, including Michigan's Premier.